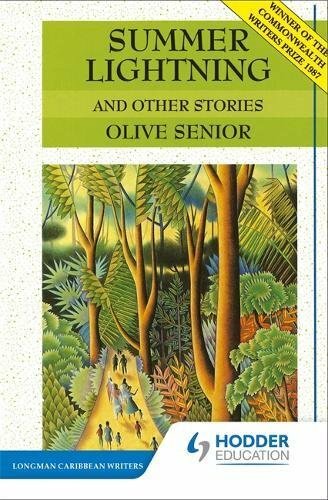 Olive Senior is a singularly original writer with a genius for re-inhabiting and recreating the wonder and cruel theatre of childhood, while also exploring adult pretensions and realities in relation to history, locality and the multifarious and revelatory world of nature. She was born in 1941 in a small village called Troy, deep in the interior of Jamaica. Her parents were peasant farmers, and she was the seventh of ten children brought up in the wild mountainous landscape of Trelawny. At the age of four she went to spend a vacation with relatives who lived in Haddo, in the Parish of Westmoreland , and went back home only briefly thereafter. As she later recalled, it was remarkable that even at this young age she decided she was going to be a creative person, a writer or an artist. Reading books was her means of escaping other people and authority, as well as freeing her imagination and revealing new worlds of possibility. When the books were finished she read the newspaper, and so ensured she was left happily alone. The vivid contrast between her childhood worlds was extreme. There was a painful gulf between the niggling deprivations of that unwillingly abandoned crowded parental home, and the classier gentility of her adopted wealthier one, where she lived alone with her more worldly and cosmopolitan great uncle and great aunts Peart. It was there she experienced the strangely compelling exclusivity of the solitary child. At this time she was “pretty much being shifted between the two extremes of a continuum based on race, colour and class in Jamaica”, and much of her childhood experience would be transmuted in her poetry and prose. After winning a scholarship to Montego Bay High School for Girls, she arrived in an aspirationally elitist establishment typical of Jamaican secondary schools of the time which naturally embraced the privileged and frowned on the excluded. Here was a place which strove to socialise its girls into being English, and Senior frequently rebelled and expressed her individualism; but she did well in her studies, and even founded a school literary magazine. At 19 she went to work at The Daily Gleaner, Jamaica’s major newspaper, which had published some of her schoolgirl pieces, and soon afterwards she went to study journalism in Cardiff with the Thompson Foundation then at Carleton University, Ottawa. While working as a freelance writer and editor she was already writing short stories and poems, some of which appeared in anthologies and aroused great interest. Her first collection of fiction, Summer Lightning and Other Stories (1986), received widespread praise, winning the Commonwealth Writers Prize, and those which followed were published to similar acclaim, fulfilling Senior’s exceptional promise. 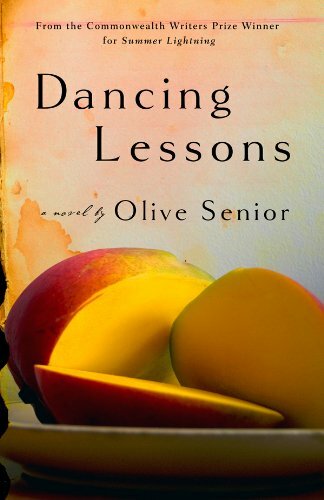 Turning to Olive Senior’s poetry, we find that many themes overlap with those in her fiction. Talking of Trees (1986) was her first collection, and Gardening in the Tropics followed in 1994. 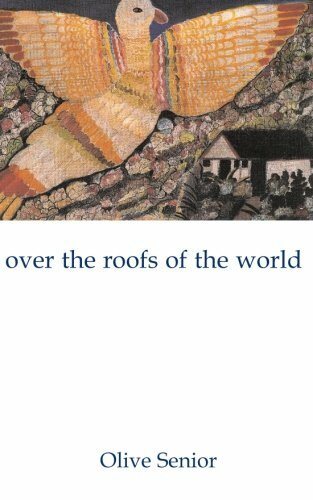 Over the Roofs of the World (2005) was nominated for Canada’s Governor-General Award, and Shell was published in 2007. 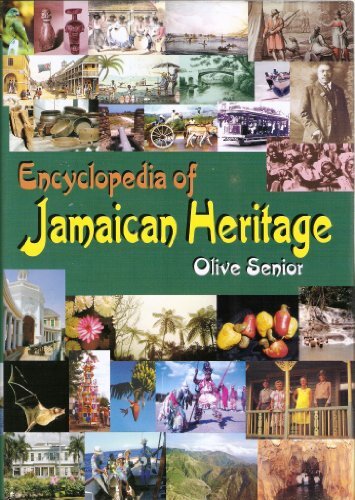 Her Encyclopedia of Jamaican Heritage (1993) remains a cornucopian work of reference much greater than the sum of its many parts. Senior’s biography gives us many clues to her preoccupations. Identity and ethnicity seem straightforward enough, but her consideration of them is more often oblique than direct, and she has an artful way with the stealthy revelation, giving the lie to a seemingly decorous status quo, as if only she can see how many round pegs are in square holes. The complex seduction of the victim after colonisation is especially painful to observe, with its infectious snobbery and self-denials; that curiously comical and even despicable mimicry of colonial genteel ritual, when just beneath the surface of life and a poem lurk the wild spirits of the gods, the tribe and Africa herself. Nature is a constant source of inspiration for Senior, and in all four of her collections she has used its variety to explore many different aspects of race, religion, politics and history, in the wider context of roots and nationhood. Again, though, she prefers the conversational tone to more rhetorical flourishes, and like those original oral poets and songsters transplanted in the Caribbean, she uses all manner of folkloric technique, proverb and fable, traditional adage and magical incantation - the very stuff of daily life deep in those rural communities she knows so well from her childhood. They survive despite their obligatory colonial erasure as both memory and quasi-African society, and Senior gives us many richly detailed sketches and portraits of Jamaican community life. 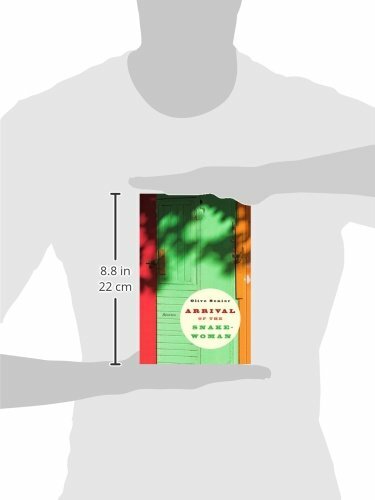 She does not shy away from the growing tensions between urban and rural, wherein lie dangerous threats from modernity to tradition and collective memory; nor is she at all forgetful of women and their powerful role so frequently hidden behind the macho scenes. There is often a kind of secret knowledge buried in her poems, which she chooses to share or perhaps simply hint at, within each loosely unified collection. 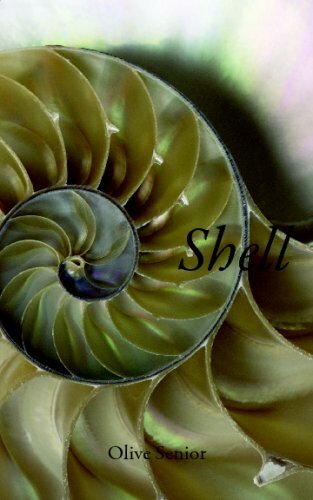 Like those earlier trees and gardens, or Pablo Neruda’s testing piece of thread which becomes bird flight in Over the Roofs of the World, the shell gives her most recent collection a leitmotif in which she finds astonishing virtuoso possibilities. As often with this poet, a certain distance allows of special enchantments, and there is something in Senior’s suggested authorial solitude, her single viewpoint and partial faux-exile, which gives her poetry that special quality of something very particular, like an intense experience being remembered and described. In the quirkily brilliant poem ‘Meditation on Red’ this is exactly what happens, when she describes a pilgrimage to Jean Rhys’s bleak Devon bungalow and last resting place on a rainy day in spring. Discursive, confidential, apologetic and spellbound, she manages to capture the shifting moods of sadness, disappointment, comedy, admiration and muted awe, as she contemplates the literary and personal ironies of such an exotic tropical beauty now lying beneath the drizzly skies of England’s verdant West Country. This is memorialising of deceptively artless simplicity, and a fine tribute to a great writer and undoubtedly a kindred spirit. It is read with the storyteller’s gift for holding her audience, rising and falling with each wave of feeling, and seeming to save the best till last. 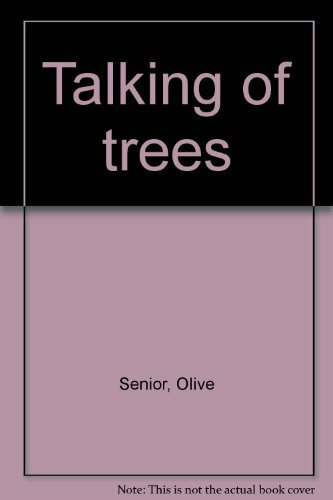 The poems Olive Senior has chosen for the Poetry Archive selection illustrate many of her preoccupations, technically as well as thematically. In ‘The Pull of Birds’, we see the bitter irony of such airborne symbols of freedom unwittingly leading Colón to their land, inviting his conquest. ‘Peacock Tale 2’ is a black comedy enacted in clever couplets, through which she extends the metaphor of the Peacock’s beautiful display as an exotic show which, for all its splendour, cannot give him flight, grounded as he is by his tell-tale black feet, which “keep him in line” – an illuminating comment on aspects of the Caribbean experience. 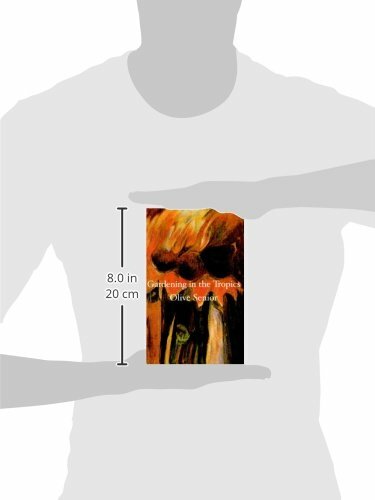 Shorter poems have the sharp clarity of still lives, in which traditional fruit bear cautionary tales, and microcosmic shells contain whirlwinds of passion. ‘Colonial Girls School’ is a merciless dissection of the very partial curriculum, where even spoken Latin trumped Creole and the girls read Vachel Lindsay’s condescending “mumbo jumbo”; it appears to be a small picture, but has all the expansive appeal of a mural depicting an entire society. She reads every poem with the winning integrity of a classic female performer, and holds the listener right in the palm of her hand. The recording was made for The Poetry Archive on October 28th, 2010 at Heavy Entertainment Ltd, London, and was produced by Richard Carrington.